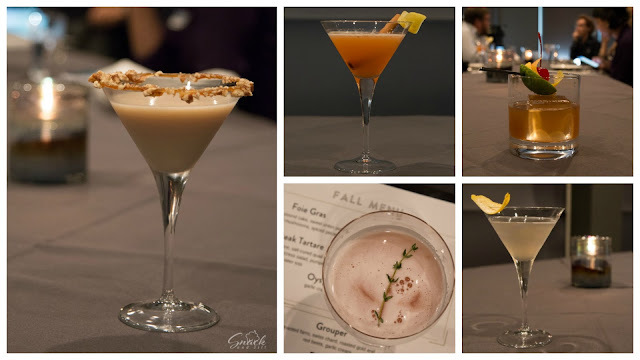 Cowford Chophouse has launched their new fall menu and I was lucky enough to snag an invite to taste some of the items. This was my first visit so I was really looking forward to it. I wasn't sure how long it would take to get there and park, so I ended up being super early. This actually worked to my advantage because it afforded me some time to walk around and scope out the place. Everything about this restaurant was gorgeous. It is truly a beautiful space. Woods Outside Rio - Lavua amburana cachaca, aperol, maple simple syrup, lemon juice, grated cinnamon. The food started rolling out next. 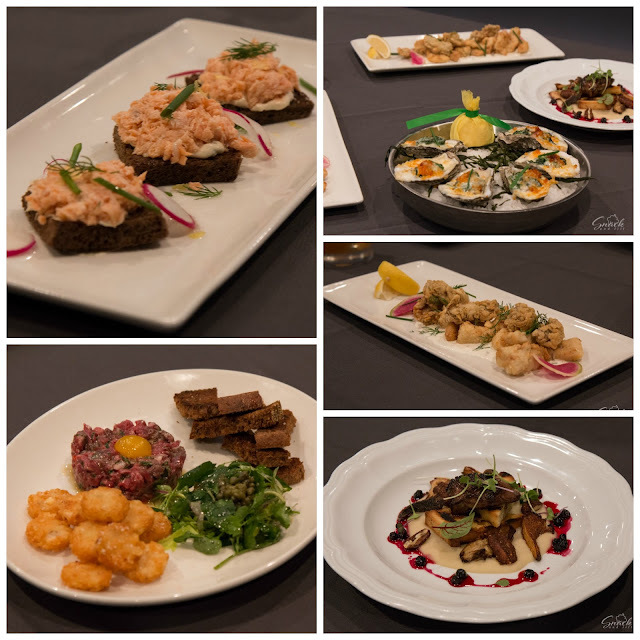 For our appetizer course we were treated to Steak Tartare, Salmon Toast, Oysters Rockefeller, Crispy Fish & Oysters, and Foie Gras. 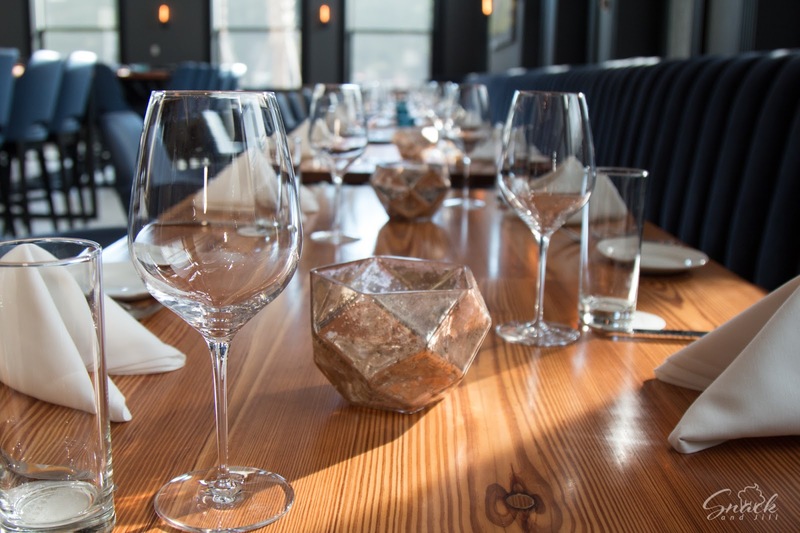 The Steak Tartare was served with red onion and watercress salad, pumpernickel bread, and tater tots with a salt-cured quail egg on top. The Salmon Toast consisted of house-smoked salmon, lemon & herb cream cheese, dill, local radish, & pea tendrils atop toasted pumpernickel. We all were surprised with how well the dill went with the salmon. It wasn't something any of us would think paired well, but it really worked. The Oysters Rockefeller were definitely a table favorite. They came packed with garlic cream, sauteed spincah, and nduja (a spicy, spreadable sausage). The Crispy Fish & Oysters was another dish with interesting ingredients. They are flash fried, with dill pickle remoulade, local radish, chive, and dill. Last but not least was the Foie Gras. It came on top of rosemary pound cake, sweet onion puree, foraged mushrooms, and spiced pecans. The rosemary pound cake was an unexpected treat and we gobbled it right up. Left to Right, Top to Bottom: Salmon Toast, Oysters Rockefeller, Crispy Fish & Oysters, Steak Tartare, Foie Gras. Our next course consisted of main menu items; Grouper, Risotto, Fish of the Day, Wagyu Spinalis. The Grouper came with toasted farro, swiss chard, roasted gold and red beets, and garlic cream. The Fish of the Day was Halibut, and it was served with sauce meuniere, haricot verts, olive gremolata, and root vegetable puree. Another table favorite was the Risotto. It was loaded with foraged mushrooms and black truffles and also had asparagus and parmigiano-reggiano. This is a dish I could definitely see myself coming back for over and over again. Our last dish of the night was definitely the star of the show, the Wagyu Spinalis. Coming in at $85 for 8oz, this is worth every penny. The highly marbled beef is so tender you barely even need a knife. You will be hard pressed to find anything else like than this in Jacksonville. 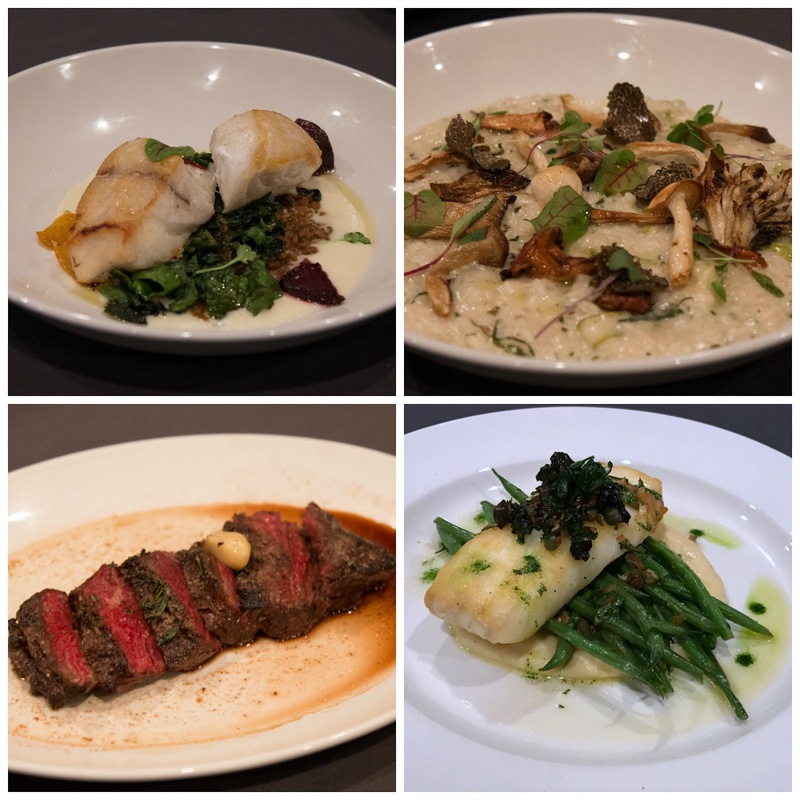 Left to Right, Top to Bottom: Grouper, Risotto, Wagyu Spinalis, Fish of the Day. Since this was my first visit I don't really have anything to compare the new dishes to, but there were definitely some standout items that were served. I was surprised with the variety and uniqueness of the menu. I was also very happy to speak with the owner and hear a little bit about what goes into the menu. Apparently he is always on the lookout for new menu items/ingredients while traveling. I really loved this. It's a great way to bring some things to Jax that are new and fresh!